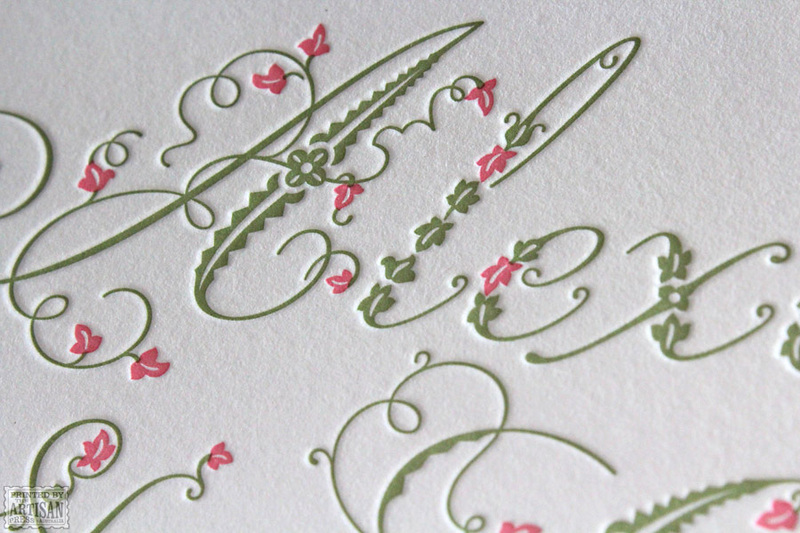 Letterpress in bloom. 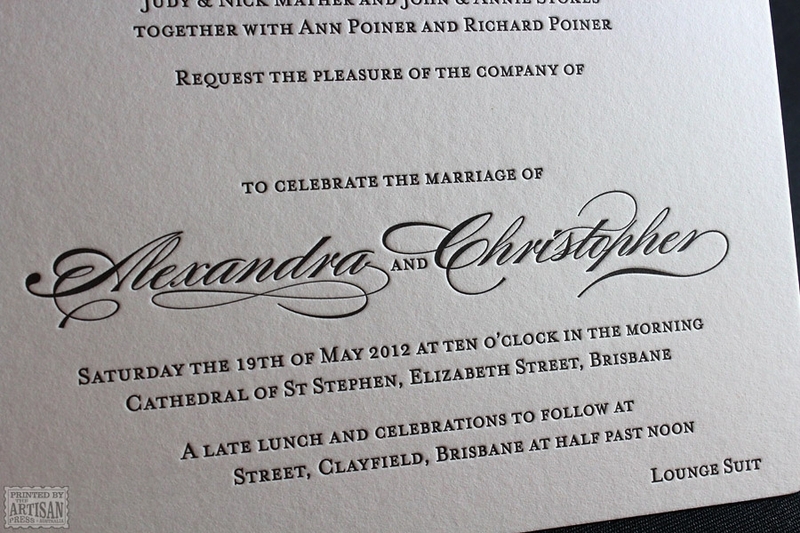 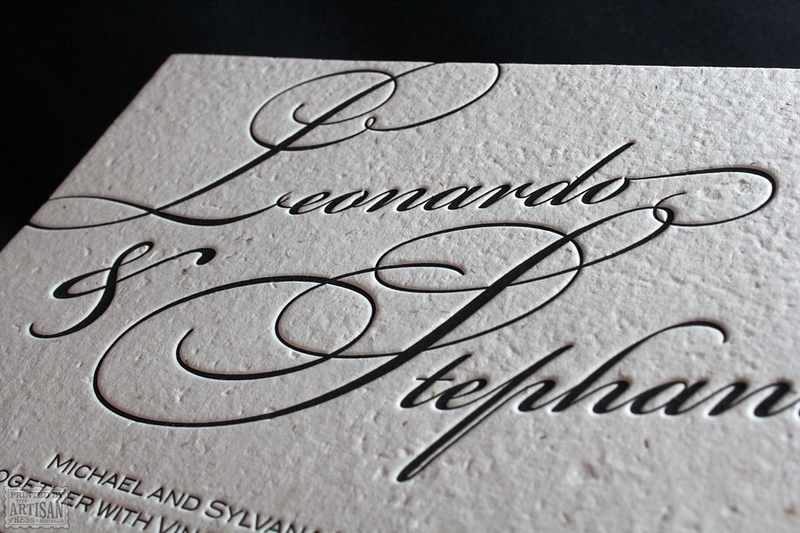 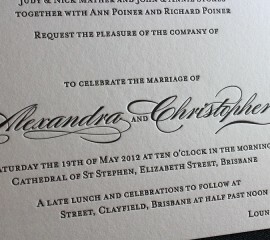 An Artisan Press wedding invitation suite letterpress printed exclusively for Australian bespoke stationery designer, Akimbo. 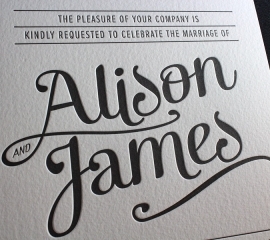 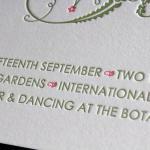 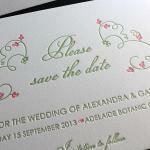 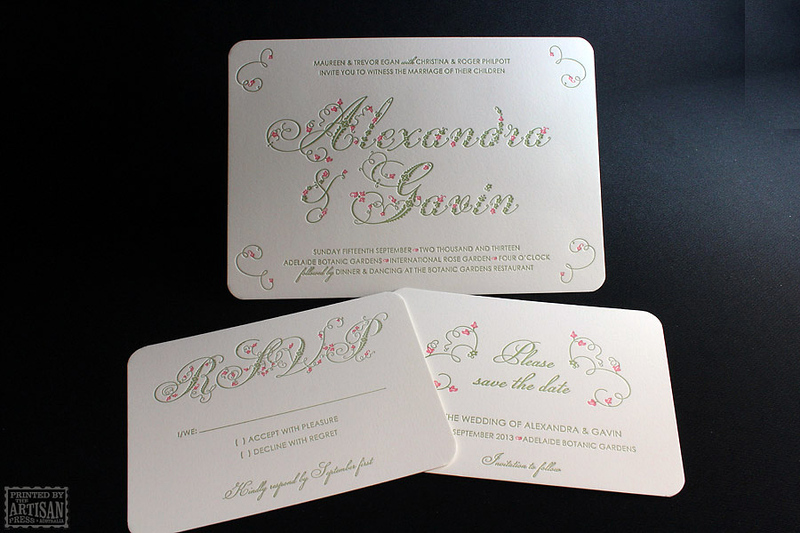 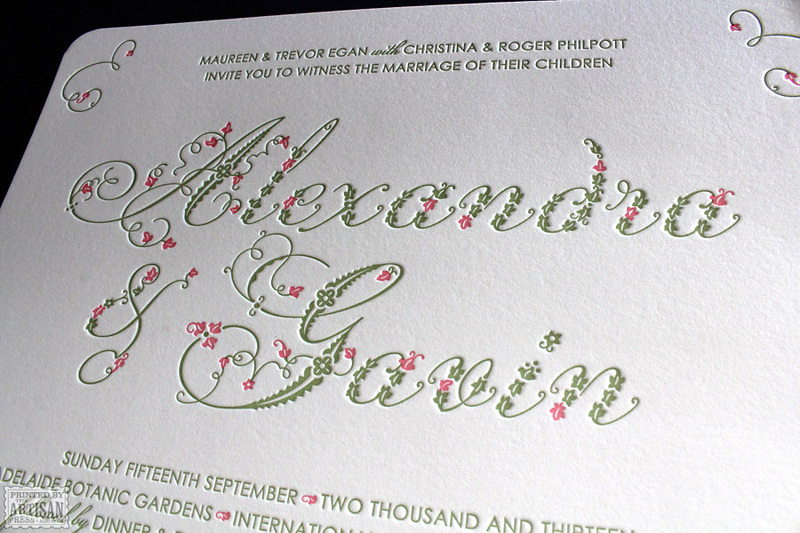 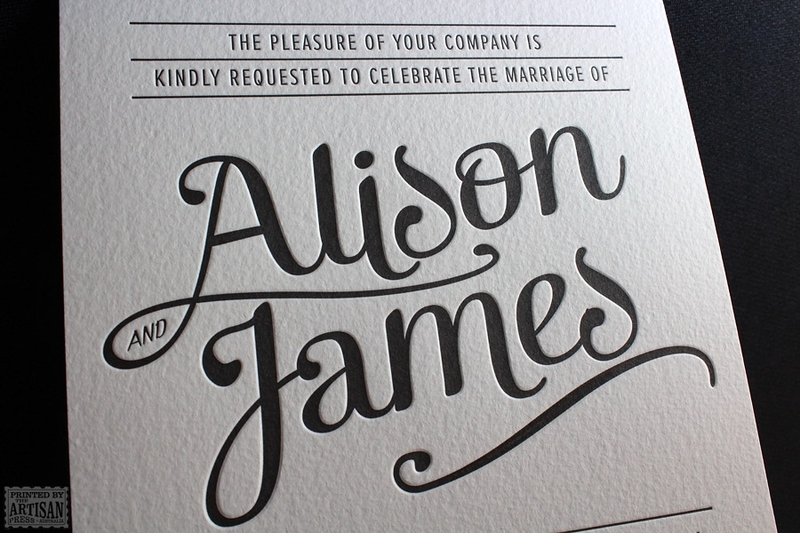 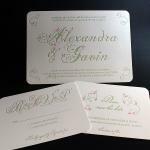 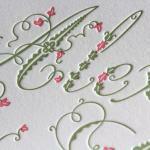 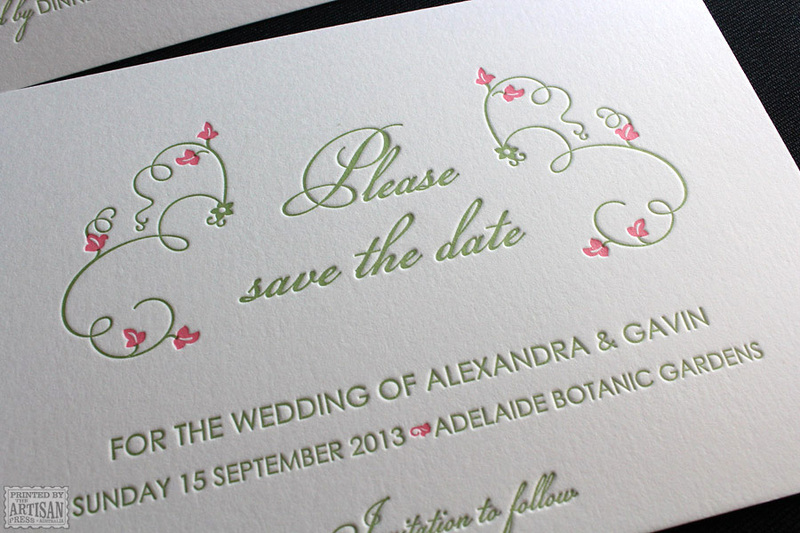 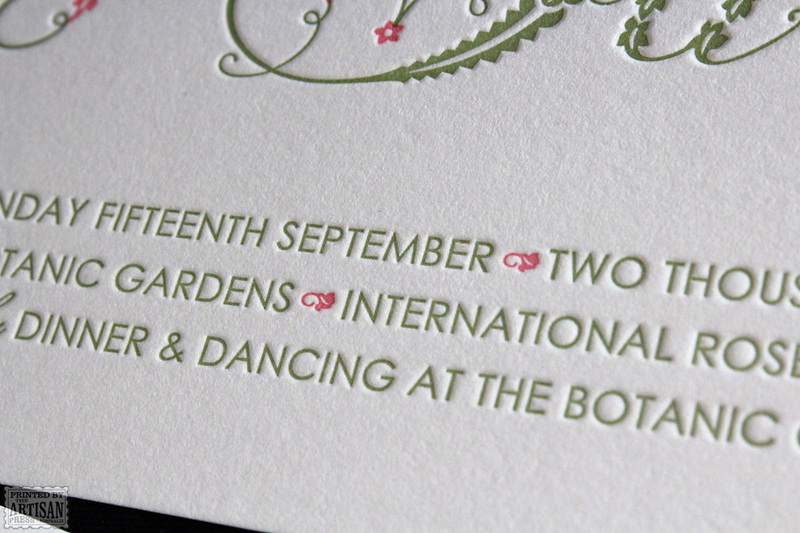 Two colours really make Akimbo’s design blossom and the rounded corners complete a sweet floral letterpress suite. 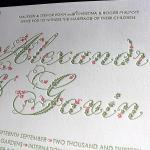 Extremely tight registration where pink meets green. 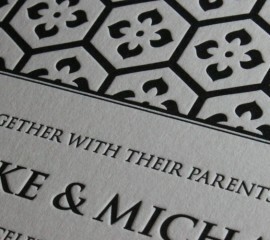 Printed as a set so precise registration was required across the whole sheet. 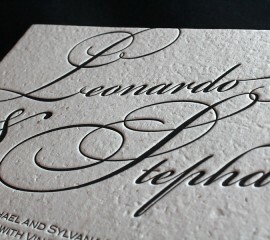 Even ink coverage and crisp, individual impression on the text.